The defenseman was acquired by the New York Rangers in the blockbuster trade that sent Ryan McDonagh and J.T. Miller to the Tampa Bay Lightning. If the talk about the skill Hajek has is real, the Rangers might have a young star about to see the bright lights on Broadway. 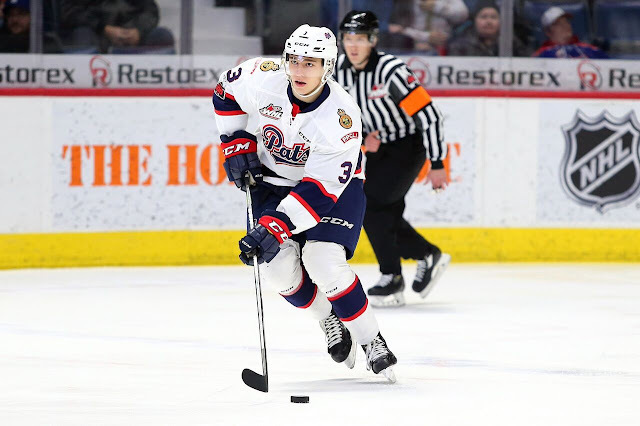 Hajek plays for the Regina Pats of the junior Western Hockey League and his head coach, John Paddock has plenty of praise for his star defenseman. “He’s pretty close to playing in the NHL right now,” Paddock said.